Red Rainbow IT Solutions GmbH (cichlids.com or "We") provides a platform via its website and apps (the “Site”) to a community of registered users (“Users” or “you”) to upload and display photographs and video (“Visual Content”) share comments, opinions, articles and ideas ("content"), promote Visual Content collections, and participate in contests and promotions (the “Services”). Additional Services may be offered by us from time to time. The following are the terms of service (“Terms”) for using the Site and the Services. Cichlids.com reserves the right, at its sole discretion, to modify or replace the terms at any time. If the alterations constitute a material change to the terms, cichlids.com will notify you by posting an announcement on the site. What constitutes a material change will be determined at cichlids.com’s sole discretion. You shall be responsible for reviewing and becoming familiar with any such modifications. Using any Service or viewing any Visual Content shall constitute your acceptance of the Terms as modified. Your access to and use of the Site and our Services may be interrupted from time to time as a result of equipment malfunction, updating, maintenance or repair of the Site or any other reason within or outside the control of cichlids.com. cichlids.com reserves the right to suspend or discontinue the availability of the Site and/or any Service and/or remove any Visual Content at any time at its sole discretion and without prior notice. cichlids.com may also impose limits on certain features and Services or restrict your access to parts of or all of the Site and the Services without notice or liability. The Site should not be used or relied upon for storage of your Visual Content and you are directed to retain your own copies of all Visual Content posted on the Site. As a condition to using Services, you are required to open an account with cichlids.com and select a password and username, and to provide registration information. The registration information you provide must be accurate, complete, and current at all times. Failure to do so constitutes a breach of the Terms, which may result in immediate termination of your access to the Services, by either terminating your email access or your account. You are responsible for maintaining the confidentiality of your password and are solely responsible for all activities resulting from the use of your password and conducted through your cichlids.com account. Services are available authorized representatives of legal entities and to individuals who are at least 14 years old, and who are authorized to access the Site by a parent or legal guardian. If you have authorized a minor to use the Site, you are responsible for the online conduct of such minor, and the consequences of any misuse of the Site by the minor. The Services are for use by a) individuals who own Visual Content; b) entities that represent owners of Visual Content including but not limited to galleries, agents, representatives, distributors other market intermediaries; and c) individuals and entities seeking to license Visual Content. All Content posted or otherwise submitted to the Site is the sole responsibility of the account holder from which such Content originates and you acknowledge and agree that you, and not cichlids.com are entirely responsible for all Content that you post, or otherwise submit to the Site. cichlids.com does not control user submitted Content and, as such, does not guarantee the accuracy, integrity or quality of such Content. You understand that by using the Site you may be exposed to Content that is offensive, indecent or objectionable. To report a suspected abuse of the Site or a breach of the Terms (other than relating to copyright infringement which is addressed under “COPYRIGHT COMPLAINTS” below) please send written notice to cichlids.com at email: help@cichlids.com. You are solely responsible for your interactions with other users of the Site. cichlids.com reserves the right, but has no obligation, to monitor disputes between you and other users. Please read this section carefully before posting, uploading, or otherwise submitting any Visual Content to the Site. By submitting content to the Site you are granting cichlids.com a worldwide, non-exclusive license to use the content and Visual Content and are representing and warranting to cichlids.com that the content and Visual Content is either owned or you are authorized to represent or distribute the content and Visual Content, and that cichlids.com is free to publish, distribute and use the content and Visual Content as provided in these Terms without obtaining permission, consent or any license from any third party. You shall not have any right to terminate the permissions granted herein, nor to seek, obtain, or enforce any injunctive or other equitable relief against cichlids.com, all of which such rights are hereby expressly and irrevocably waived by you in favor of cichlids.com. cichlids.com respects the intellectual property rights of others. It is our policy to respond promptly any claim that Content posted on the Site infringes the copyright or other intellectual property infringement (“Infringement”) of any person. cichlids.com will use reasonable efforts to investigate notices of alleged Infringement and will take appropriate action under applicable intellectual property law and these Terms where it believes an Infringement has taken place, including removing or disabling access to the Content claimed to be infringing and/or terminating accounts and access to the Site. To notify cichlids.com of a possible Infringement you must submit your notice in writing to the attention of “Copyright Infringement” care of help@cichlids.com and include in your notice a detailed description of the alleged Infringement sufficient to enable cichlids.com to make a reasonable determination. Please note that you may be held accountable for damages (including costs and attorneys’ fees) for misrepresenting that any Content is infringing your copyright. If we remove or disable access to Content in response to a notice of Infringement, we will make reasonable attempts to contact the user who posted the affected Content. 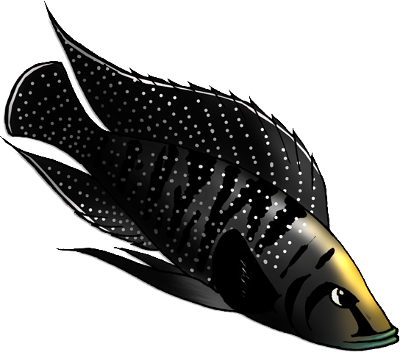 If you feel that your Content is not infringing, you may provide cichlids.com with a counter notice in writing to the attention of “Copyright Infringement Counter Notification” at help@cichlids.com. You must include in your counter notice sufficient information to enable cichlids.com to make a reasonable determination. Please note that you may be held accountable for damages (including costs and attorneys' fees) if you materially misrepresent that your Content is not infringing the copyrights of others. The Services may provide, or third parties may provide, links to other World Wide Web sites or resources. Because cichlids.com has no control over such sites and resources, you acknowledge and agree that cichlids.com is not responsible for the availability of such external sites or resources, and does not endorse and is not responsible or liable for any content, advertising, products or other materials on or available from such sites or resources. You further acknowledge and agree that cichlids.com shall not be responsible or liable, directly or indirectly, for any damage or loss caused or alleged to be caused by or in connection with use of or reliance on any such content, goods or services available on or through any such site or resource. You hereby expressly and irrevocably release and forever discharge cichlids.com, its affiliated and associated companies, and their respective directors, officers, employees, agents, representatives, independent and dependent contractors, licensees, successors and assigns of and from any and all actions, causes of action, suits, proceedings, liability, debts, judgments, claims and demands whatsoever in law or equity which you ever had, now have, or hereafter can, shall or may have, for or by reason of, or arising directly or indirectly out of your use of the Site and the Services. You hereby agree to indemnify and hold harmless cichlids.com, its affiliated and associated companies, and their respective directors, officers, employees, agents, representatives, independent and dependent contractors, licensees, successors and assigns from and against all claims, losses, expenses, damages and costs (including, but not limited to, direct, incidental, consequential, exemplary and indirect damages), and reasonable attorneys' fees, resulting from or arising out of (i) a breach of these Terms, (ii) Content posted on the Site, (iii) the use of the Services, by you or any person using your account or cichlids.com Username and password or (iv) any violation of any rights of a third party. cichlids.com may terminate or suspend any and all Services and/or your cichlids.com account immediately, without prior notice or liability, for any reason whatsoever, including without limitation if you breach the Terms. Upon termination of your account, your right to use the Services will immediately cease. If you wish to terminate your cichlids.com account, you may simply discontinue using the Services. All provisions of the Terms which by their nature should survive termination shall survive termination, including, without limitation, ownership provisions, warranty disclaimers, indemnity and limitations of liability. It is your responsibility to remove all Visual Content from your account prior to termination. Upon termination of your account cichlids.com will automatically remove all Visual Content posted to your account. YOU USE THE SITE AND THE SERVICES AT YOUR OWN RISK. THE SITE AND THE SERVICES ARE PROVIDED ON AN “AS IS, AS AVAILABLE” BASIS. CICHLIDS.COM EXPRESSLY DISCLAIMS ALL WARRANTIES, INCLUDING THE WARRANTIES OF MERCHANTABILITY, TITLE, FITNESS FOR A PARTICULAR PURPOSE AND NON-INFRINGEMENT. CICHLIDS.COM DISCLAIMS ALL RESPONSIBILITY FOR ANY LOSS, INJURY, CLAIM, LIABILITY, OR DAMAGE OF ANY KIND RESULTING FROM, ARISING OUT OF OR IN ANY WAY RELATED TO (A) ANY ERRORS IN OR OMISSIONS FROM THIS SITE AND THE SERVICES, INCLUDING, BUT NOT LIMITED TO, TECHNICAL INACCURACIES AND TYPOGRAPHICAL ERRORS, (B) THIRD PARTY COMMUNICATIONS, (C) ANY THIRD PARTY WEBSITES OR CONTENT DIRECTLY OR INDIRECTLY ACCESSED THROUGH LINKS IN THE SITE, INCLUDING BUT NOT LIMITED TO ANY ERRORS OR OMISSIONS, (D) THE UNAVAILABILITY OF ALL OR ANY PART OF THE SITE OR THE SERVICES, (E) YOUR USE OF THE SITE OR THE SERVICES, OR (F) YOUR USE OF ANY EQUIPMENT OR SOFTWARE IN CONNECTION WITH THE SITE OR THE SERVICES. EXCEPT AS OTHERWISE PROVIDED BY LAW, NEITHER CICHLIDS.COM NOR ANY OF ITS AFFILIATES, PARENTS, SUBSIDIARIES, DIRECTORS, SHAREHOLDERS, EMPLOYEES OR AGENTS SHALL BE LIABLE FOR ANY LOSS, INJURY, CLAIM, LIABILITY, OR DAMAGE OF ANY KIND RESULTING FROM YOUR USE OF THE SITE, ANY FACTS OR OPINIONS APPEARING THEREON, OR THE SERVICES. CICHLIDS.COM SHALL NOT BE LIABLE FOR ANY SPECIAL, DIRECT, INDIRECT, INCIDENTAL, PUNITIVE OR CONSEQUENTIAL DAMAGES OF ANY KIND WHATSOEVER (INCLUDING, WITHOUT LIMITATION, ATTORNEYS’ FEES) IN ANY WAY DUE TO, RESULTING FROM, OR ARISING IN CONNECTION WITH THE USE OF OR INABILITY TO USE THE SITE OR SERVICES. TO THE EXTENT THE FOREGOING LIMITATION OF LIABILITY IS PROHIBITED OR FAILS OF ITS ESSENTIAL PURPOSE, CICHLIDS.COM'S SOLE OBLIGATION TO YOU FOR DAMAGES SHALL BE LIMITED TO $100.00. YOU AND CICHLIDS.COM AGREE THAT ANY PROCEEDINGS TO RESOLVE OR LITIGATE ANY DISPUTE ARISING HEREUNDER WILL BE CONDUCTED SOLELY ON AN INDIVIDUAL BASIS, AND THAT YOU WILL NOT SEEK TO HAVE ANY DISPUTE HEARD AS A CLASS ACTION, A REPRESENTATIVE ACTION, A COLLECTIVE ACTION, A PRIVATE ATTORNEY-GENERAL ACTION, OR IN ANY PROCEEDING IN WHICH YOU ACT OR PROPOSE TO ACT IN A REPRESENTATIVE CAPACITY. YOU FURTHER AGREE THAT NO PROCEEDING WILL BE JOINED, CONSOLIDATED, OR COMBINED WITH ANOTHER PROCEEDING WITHOUT THE PRIOR WRITTEN CONSENT OF CICHLIDS.COM AND ALL PARTIES TO ANY SUCH PROCEEDING. The Terms shall be governed by and construed in accordance with the laws of Germany, as if made within Germany between two residents thereof, The United Nations Convention on the International Sale of Goods shall not apply and is expressly excluded. It is agreed that the court of competent jurisdiction for any controversies or disputes arising out of or relating to these Terms shall be Meerbusch, Germany. You, agree to defend, indemnify and hold cichlids.com, its affiliates and its sponsors, partners, other co-branders and the respective directors, officers and employees of each harmless from and against any and all claims, losses, damages, liabilities and costs (including, without limitation, reasonable attorneys' fees and court costs) arising out of or relating to your breach of any of these Terms or use by you or any third party of the Services. cichlids.com reserves the right, at its own expense, to assume the exclusive defense and control of any matter otherwise subject to indemnification by you.